Okay, so I went into Reign of Shadows mostly blind. I knew it was a Rapunzel retelling, but that was about it. I love doing this with books, because I find that I get hooked a lot faster than when I know what the plot is going to be. I had no idea that Reign of Shadows would be such an exhilarating and wholly unique retelling, a fantasy set in an almost dystopian like world. 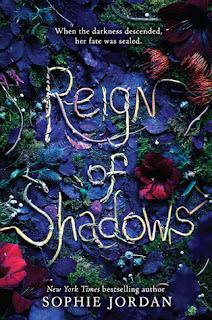 Reign of Shadows is a cross between The Immortal Rules and the classic tale of Rapunzel, which should leave readers completely satisfied and aching for more! I AM IN LOVE WITH THIS COVER. Seriously, it is so unique, and the color scheme is absolutely gorgeous. I cannot wait to get a finished copy in my hands! The action in Reign of Shadows was pretty much non-stop. Within every couple of pages, some freaky new creature that lives in this newly fantasized world shows up, ultimately trying to kill our main characters. There definitely wasn't a lack of action, that's for sure! The 'romance' is my biggest issue with Reign of Shadows. It's full of insta-love, or what I consider to be insta-love. I felt like our two main characters were thrust upon each other, just for the mere fact that they would eventually 'fall in love with each other'. I wanted to ship it, but it just felt entirely too rushed, in my opinion, which drops my rating a bit. Luna was such a fierce heroine. She was the absolute main thing that I loved about Reign of Shadows. Her loyalty and courage to do every day normal things (even if some of them were highly unrealistic), despite her major disability, was fascinating, and I really enjoyed watching her evolve in the wild. Fowler. GOSH. With a name like Fowler (it's my last name), I really wanted to love him, but he was just so full of angst, and I felt he was way too harsh a lot of times. Over time, he grew on me, but it just took way too long for him being the main character's love interest and all. Mirelya, because despite knowing Fowler was traveling with Luna (who cross-dresses as a boy to avoid being recognized as a girl and killed), she takes them under her wing and tries to help them as much as possible. I absolutely loved the setting! It's been awhile since I've read something unique on it's own, and the blend between fantasy, sci fi, and dystopian was incredible! But my absolute favorite was all the different bugs and monsters that creep around in the ever-present darkness. I also liked that Jordan didn't shy away from using dark descriptive writing. Sometimes it was hard for me to read, and that's the way I like it! Makes it a bit more realistic! I guess I already kind of talked about this, but I really hated how fast the romanticizing went down, and the way Fowler treated Luna sometimes. As if she was helpless. Despite how many times she had proved herself otherwise. And honestly, if it's because she's lived in a tower her whole life and Fowler is the first male her ages that's she's met, doesn't mean that she's going to be THAT obsessed with him. I could at least understand Cress acting that way in The Lunar Chronicles, but it kind of weirded me out in this. IT'S A BIG ONE. Which actually upsets me, because by this point in the book, I was actually starting to dig what was going down. I mean, sure. If someone was looking for something totally different in the retelling genre. I wouldn't say this is a priority read or anything, but it was still entertaining and a solid read! Did my friends like it? Mixed reviews. Lots are highly praising. Some are more in the middle or meh (like me). Will I buy/keep it/read the sequel? Buy? Probably. Pre-order? Eh, no. Read the sequel? Most likely. 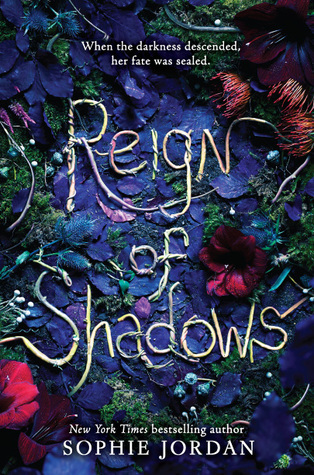 Have you read Reign of Shadows? What did you think? Let's discuss!